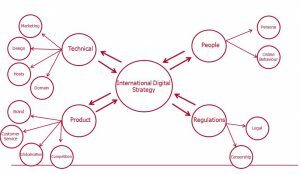 So what are the rules when developing a digital marketing strategy? Is it weighty tome that sits on a book shelf and is dusted off once a year? Is it a plan on the back of a beer mat? Is it in some ones head? Here at Sharpmonkeys we have frameworks, plans, templates tools and models to help you plan. However, None of these help if the management or business owner does not buy into the digital approach. Sharpmonkeys can help your senior management team understand todays marketing environment and demystify the terminology and also develop approaches to appeal to digital natives and digital immigrants alike. 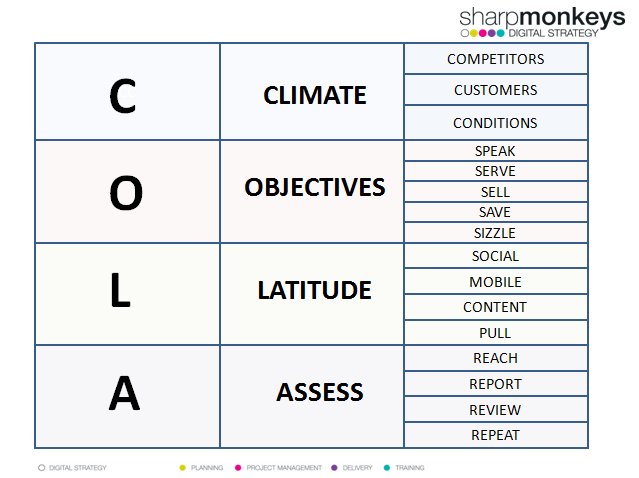 We do operate a very quick and easy to understand approach to digital marketing – we call it the COLA approach. Climate – What does your climate look like in terms of competitors, customers and the technology used? Latitude – What digital tactics can you use to get the message out? Assess – How far is your reach and how do you know if its working? Your customers are changing , you need to adapt too. 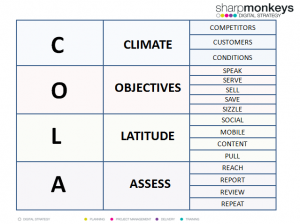 We think the COLA approach is a SMART way to grasp the digital advantage.